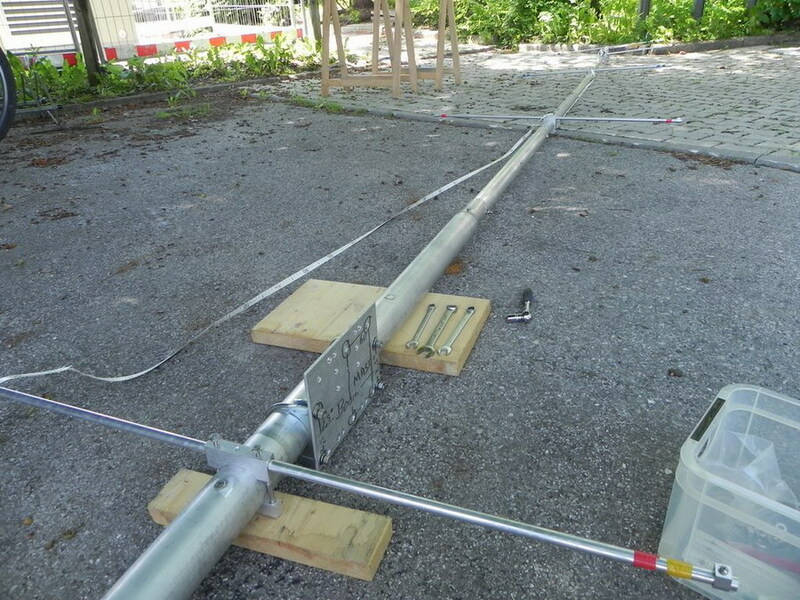 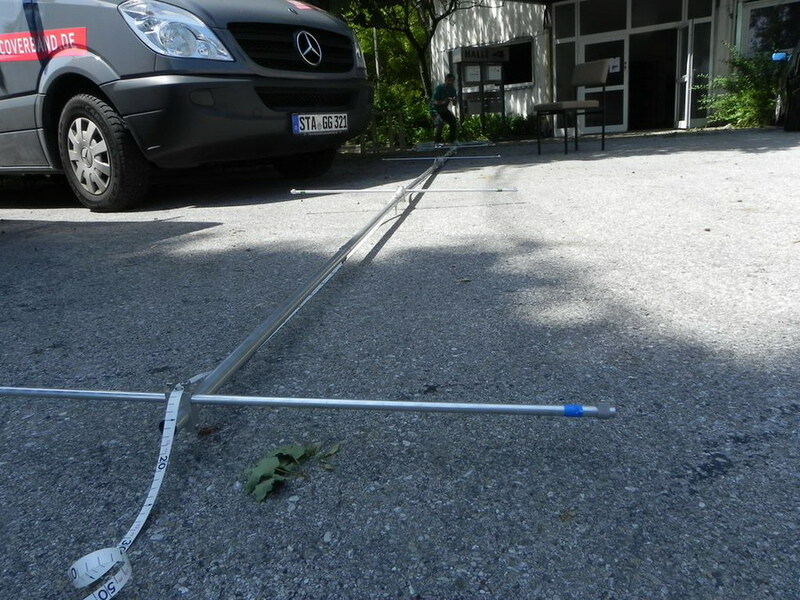 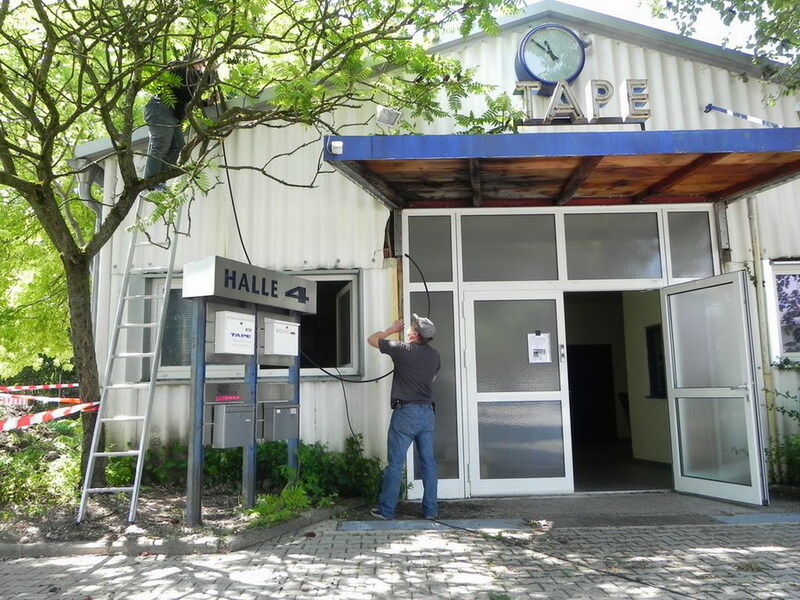 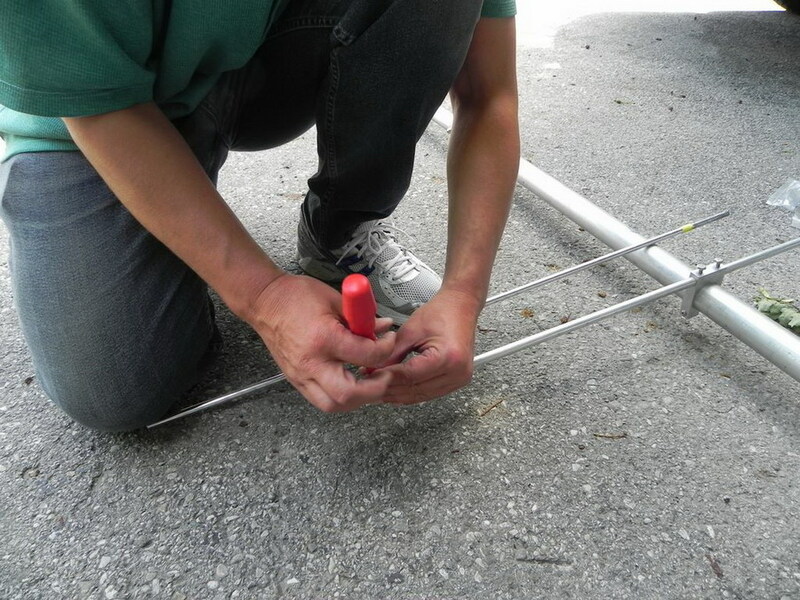 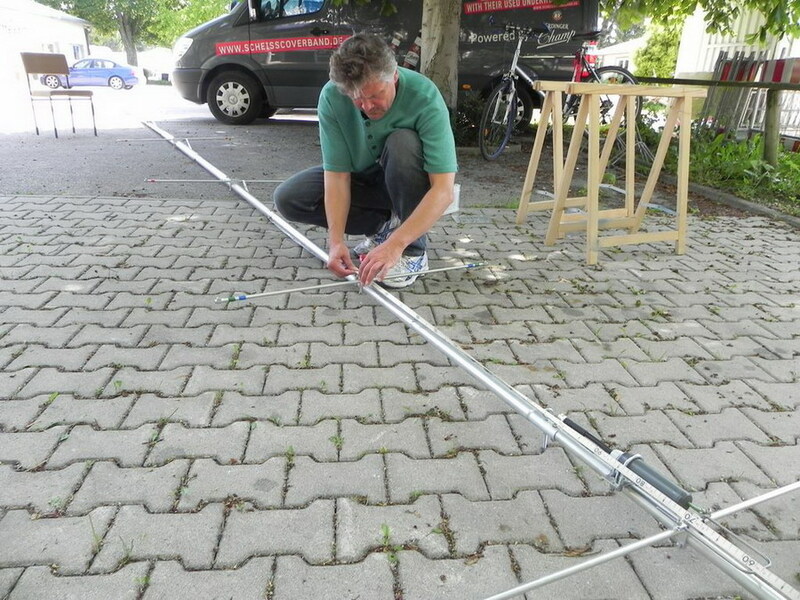 These are pictures of the installation of my third 6m antenna - a M² 6M8GJ, a 8 element on a 13m/42’ 8“ boom. 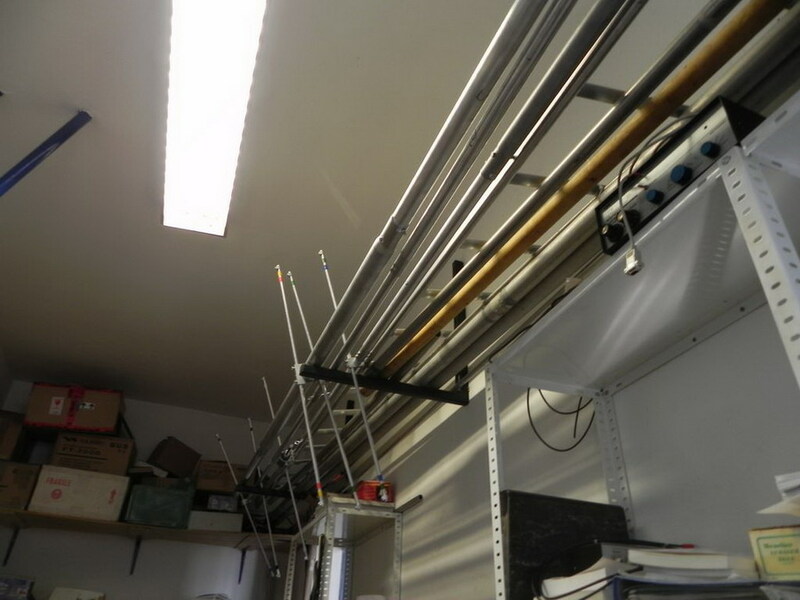 After having a M² 5 element for many years and after not being lucky with a I0JXX 7 element yagi I came back to M². 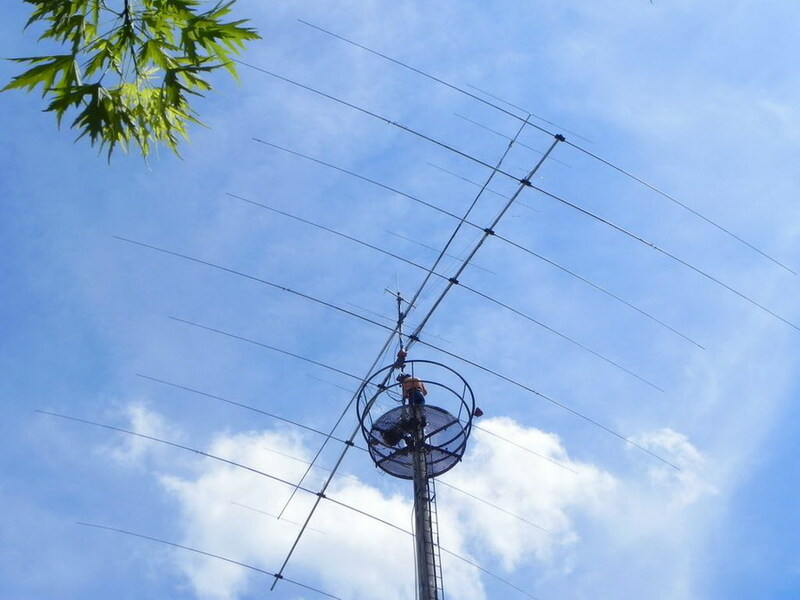 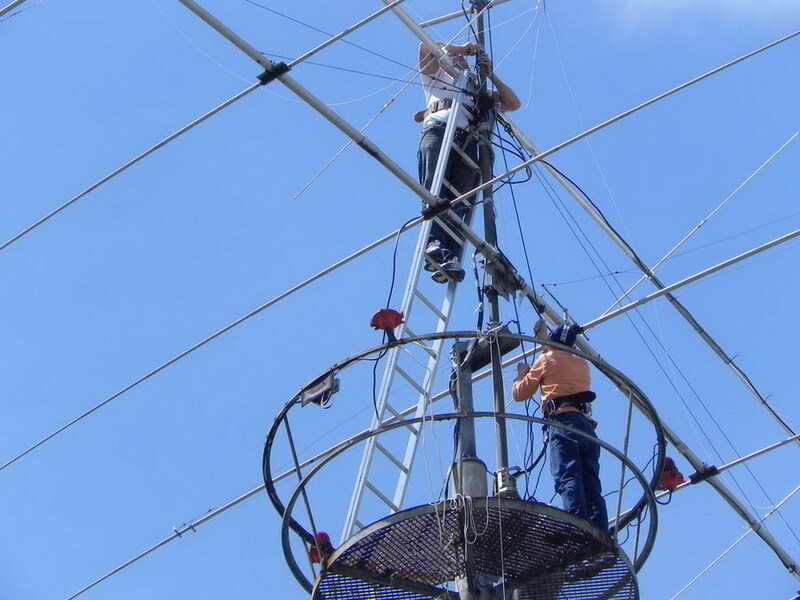 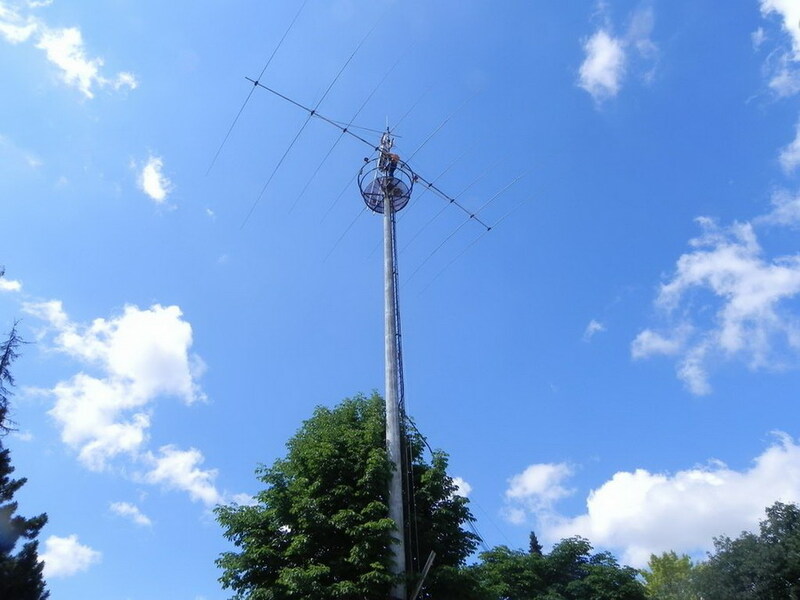 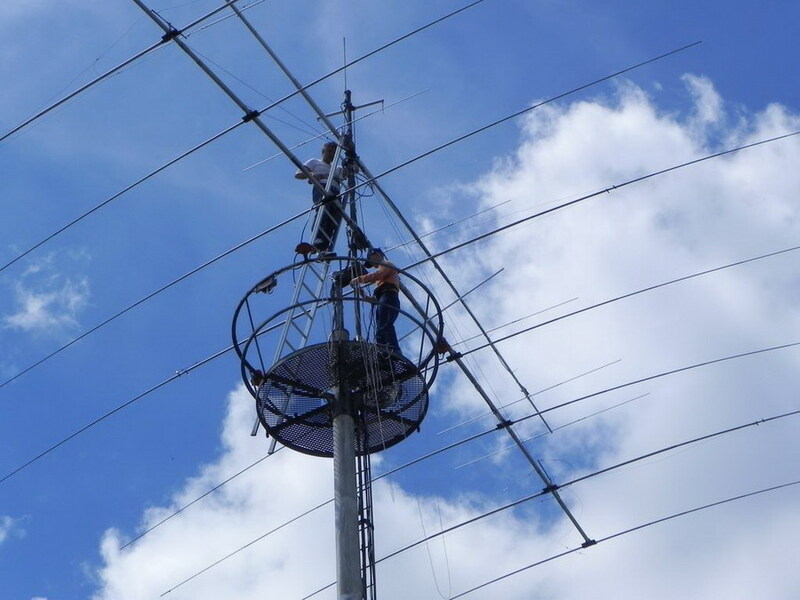 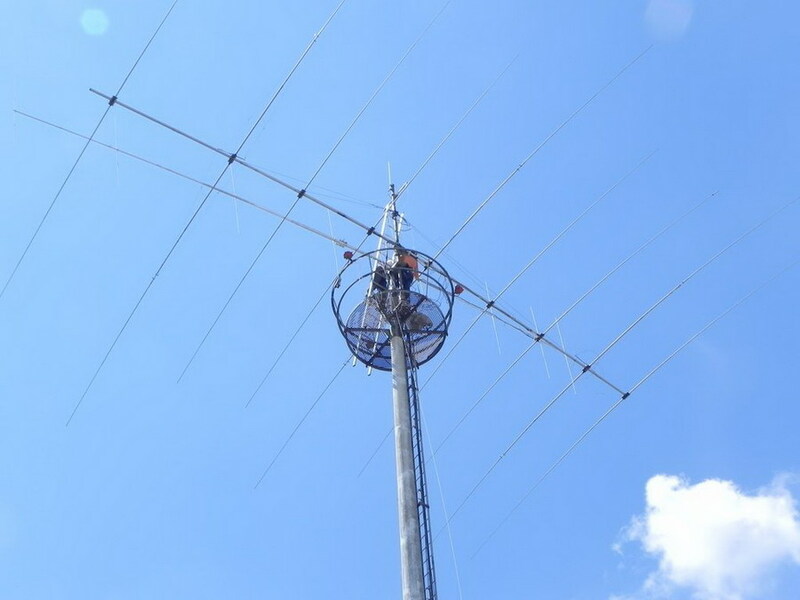 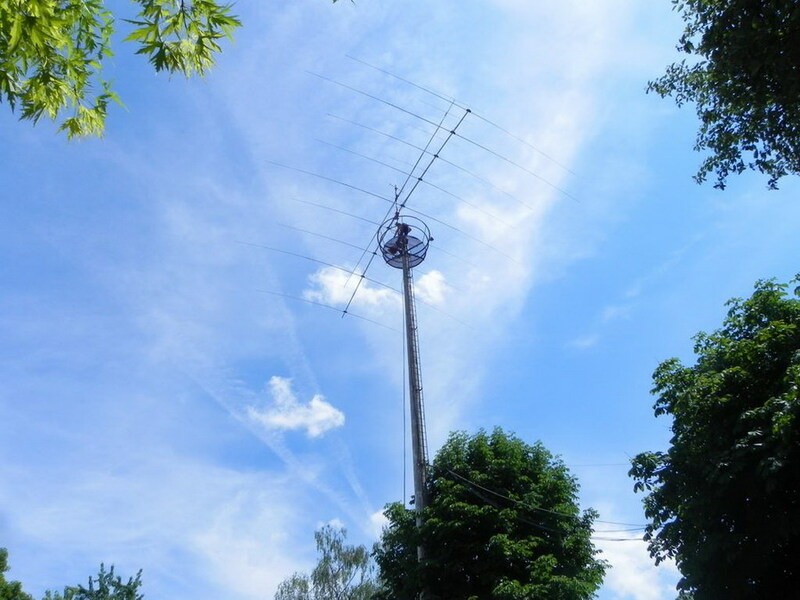 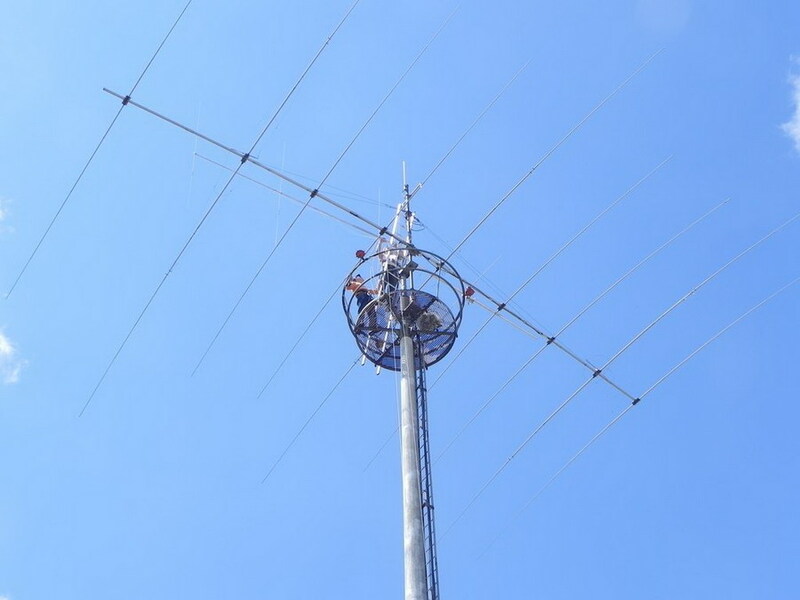 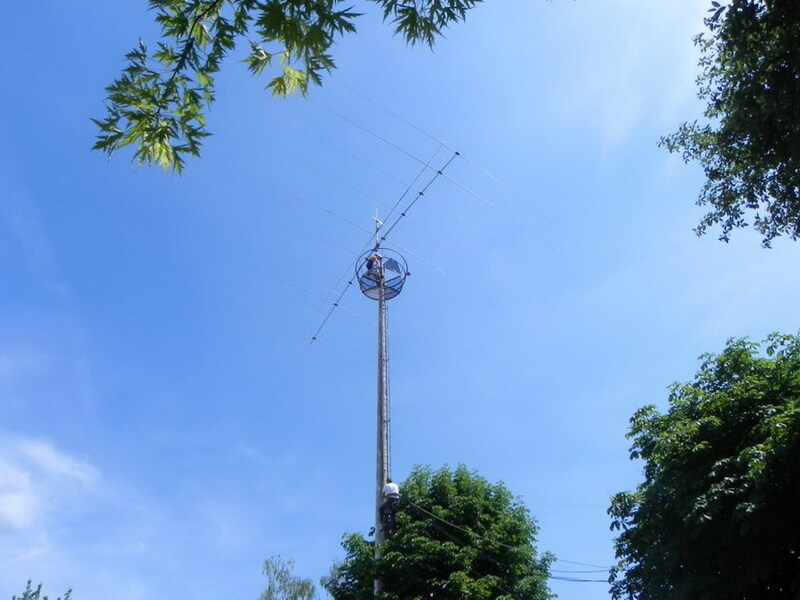 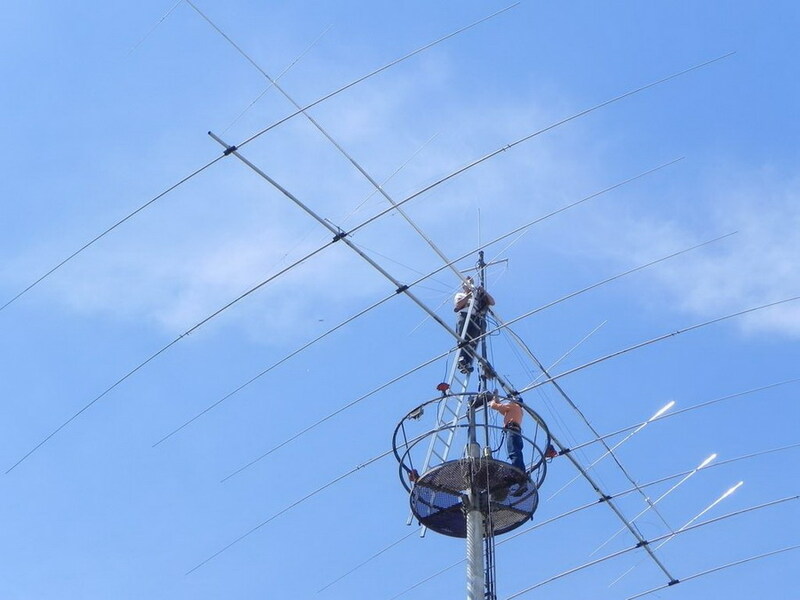 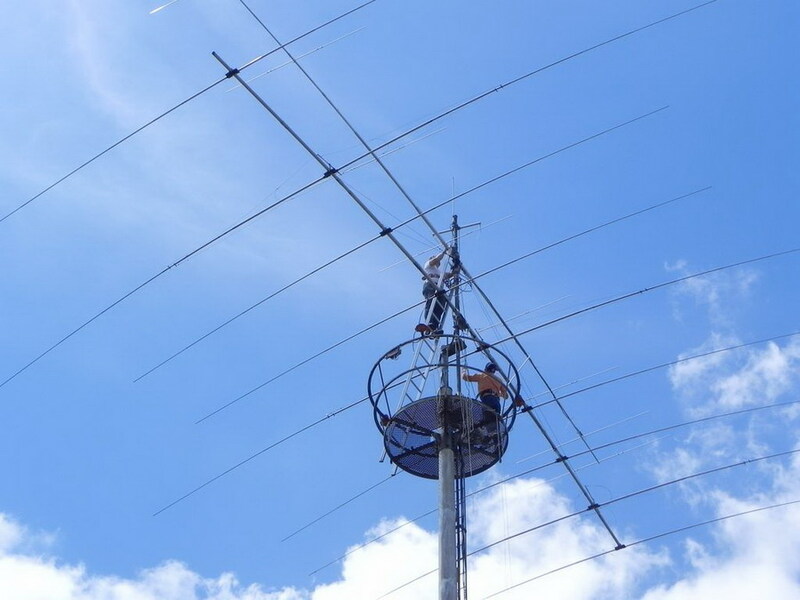 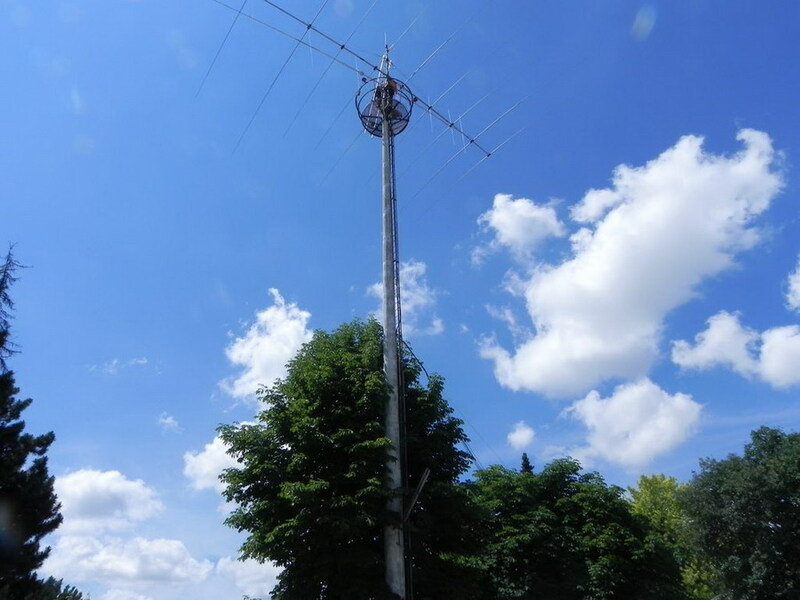 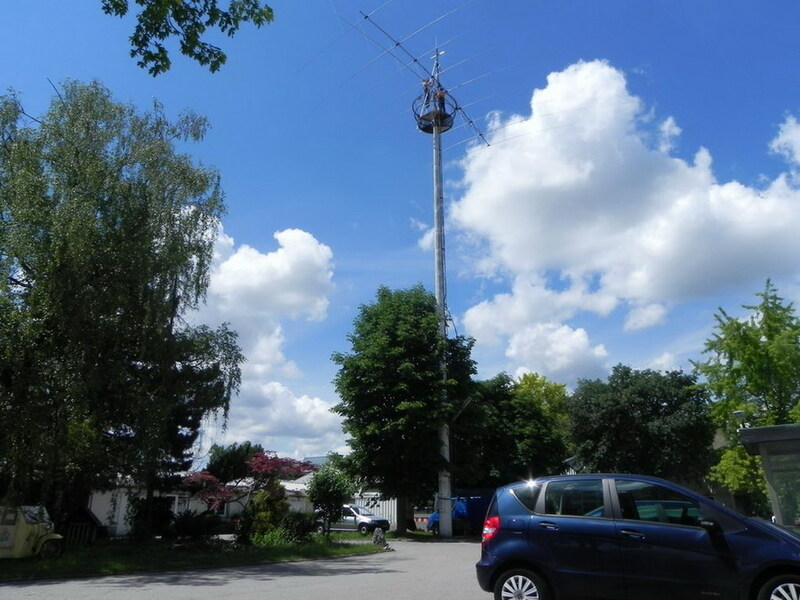 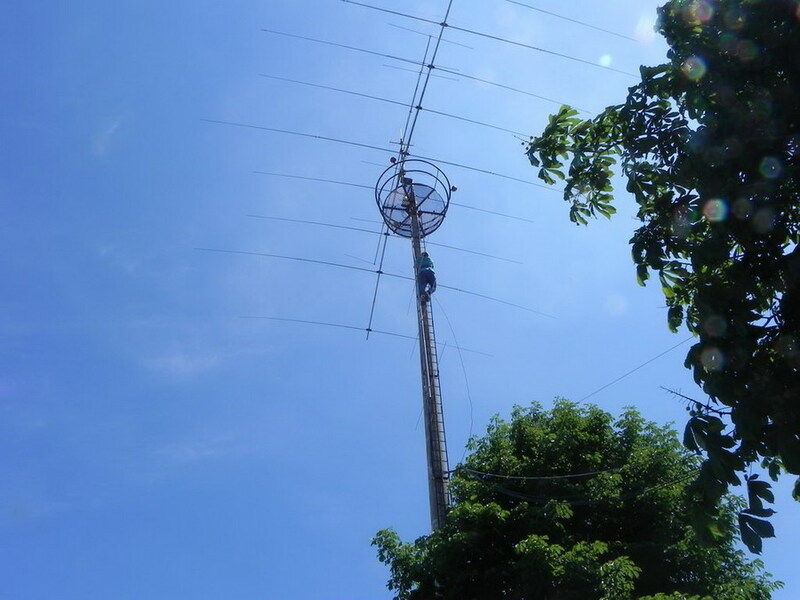 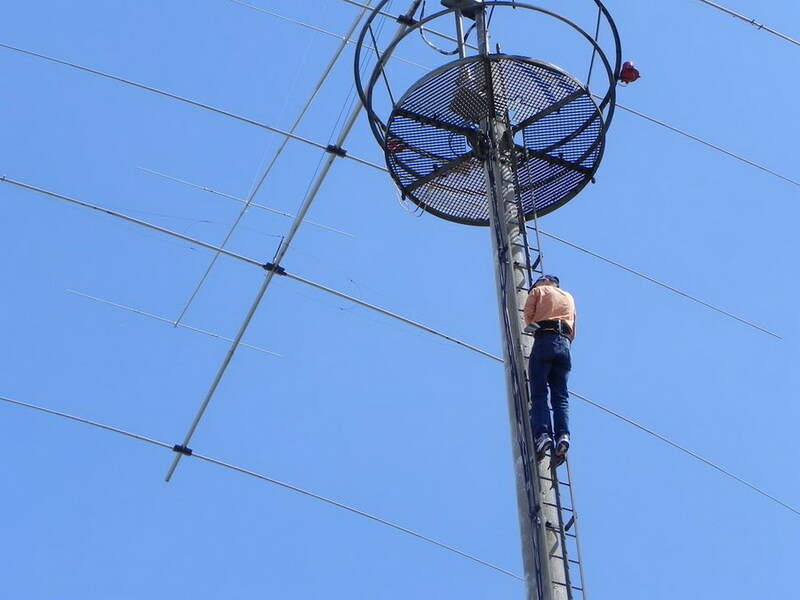 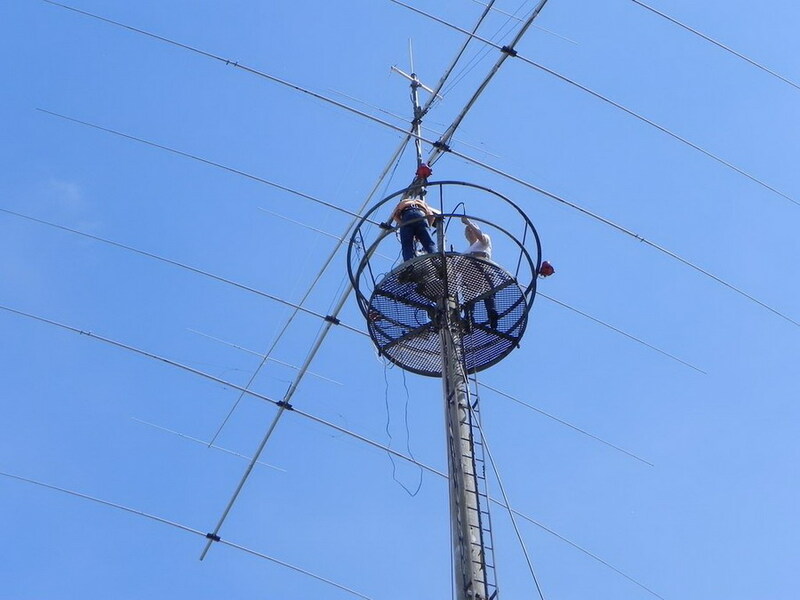 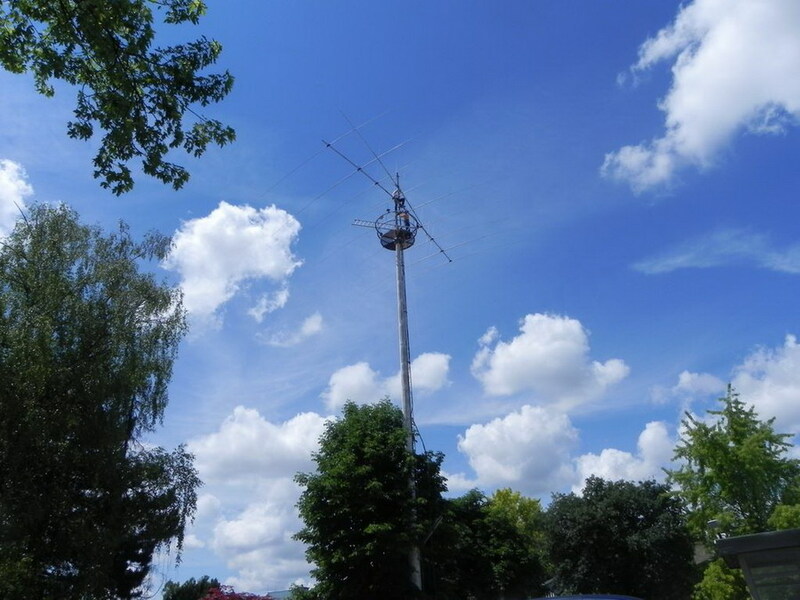 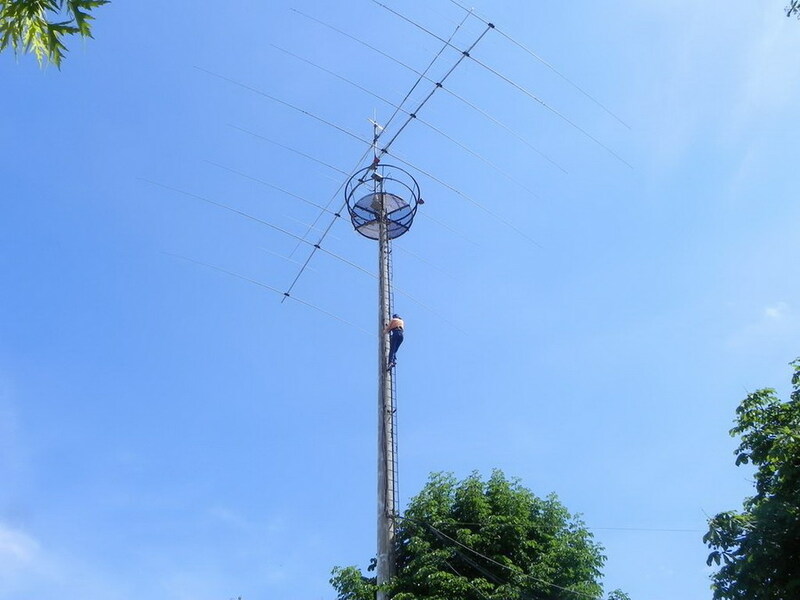 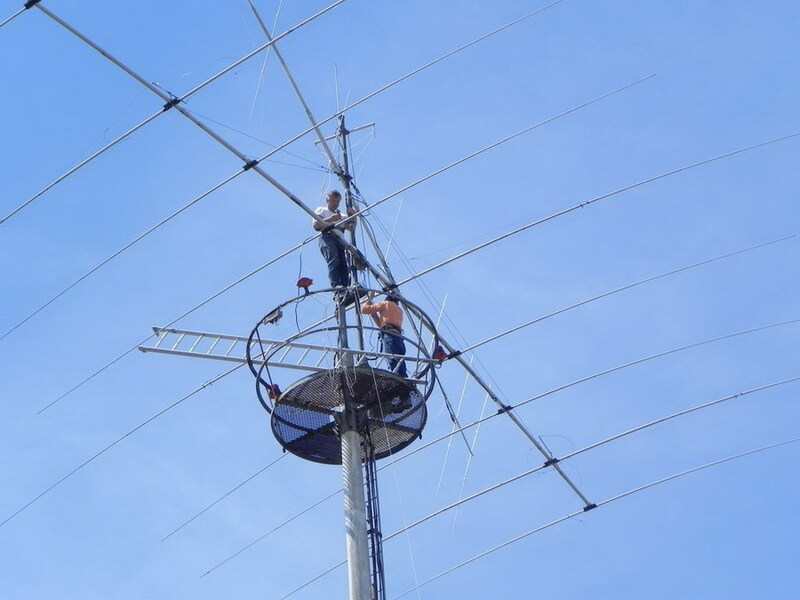 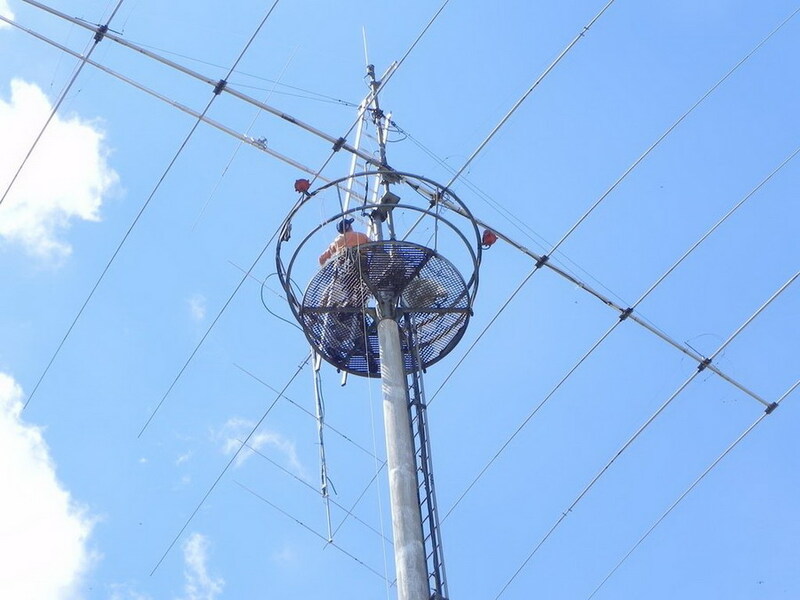 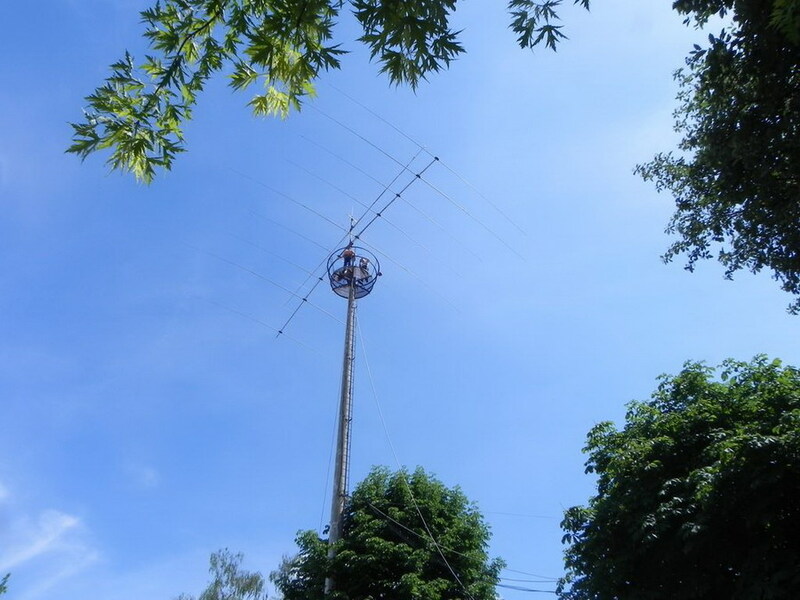 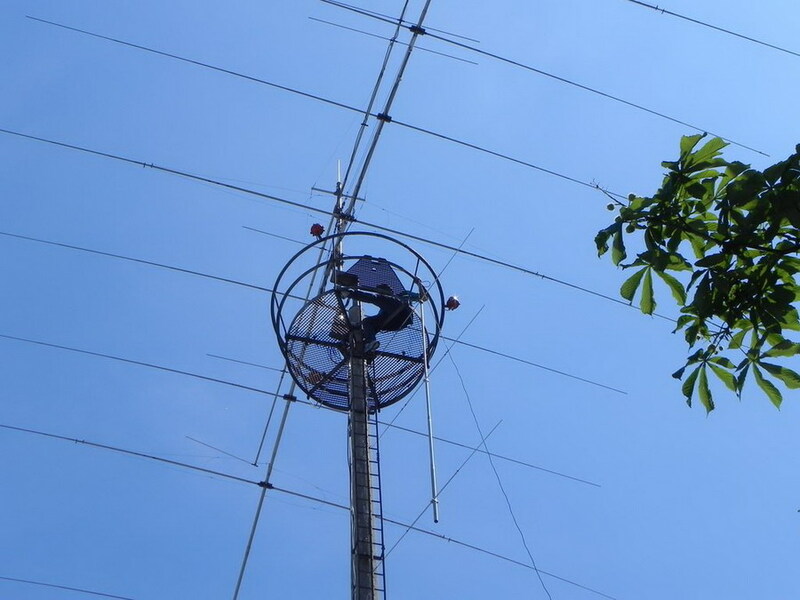 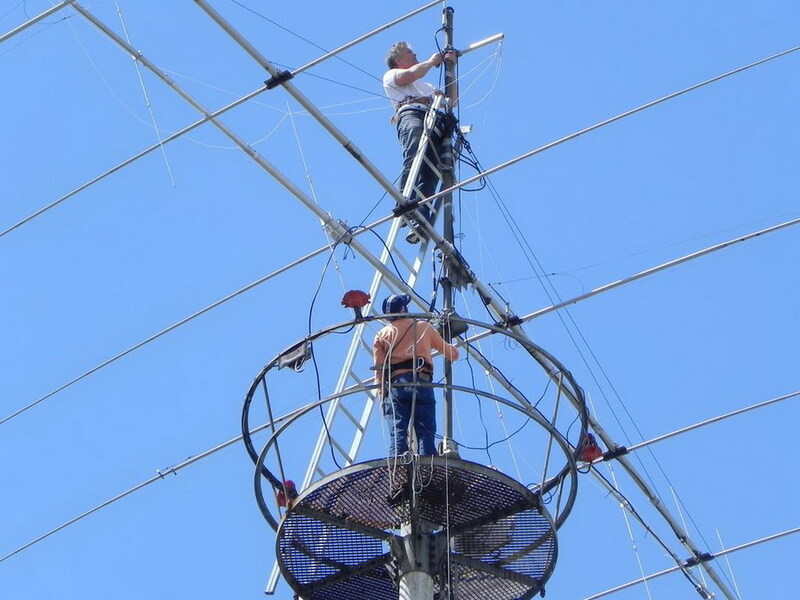 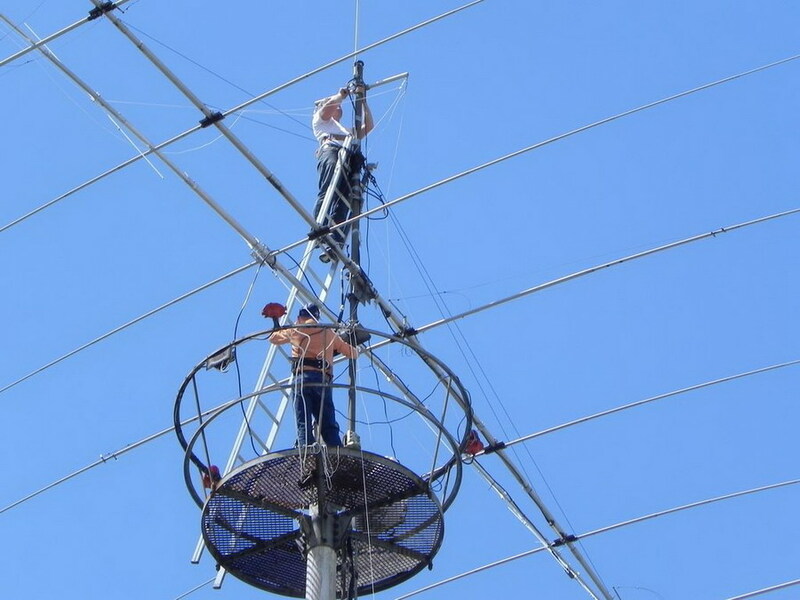 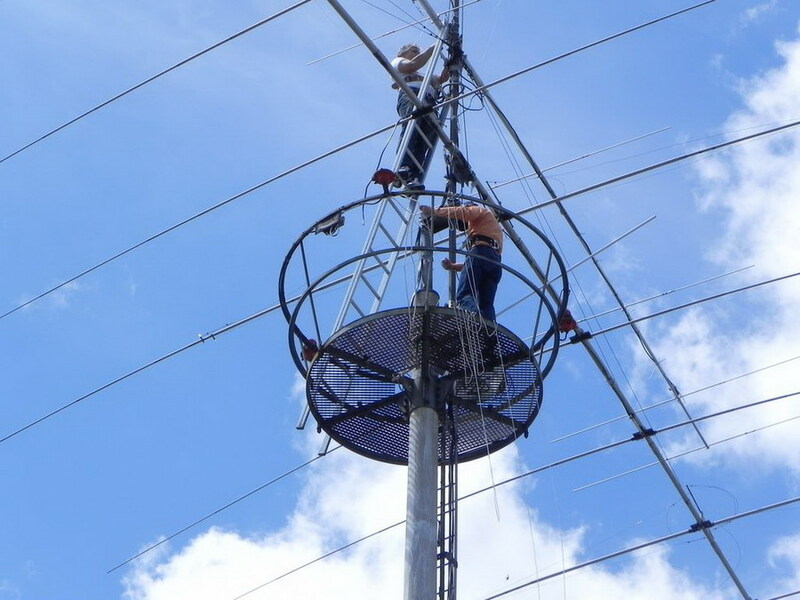 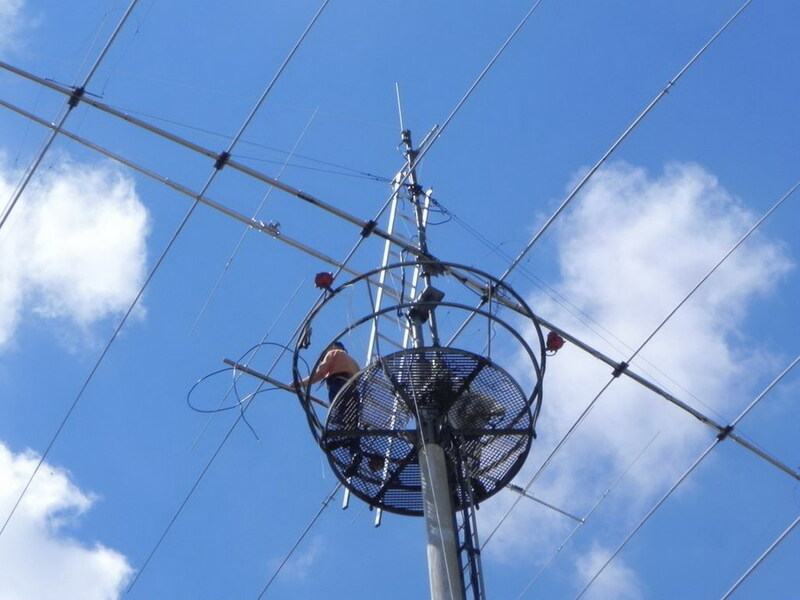 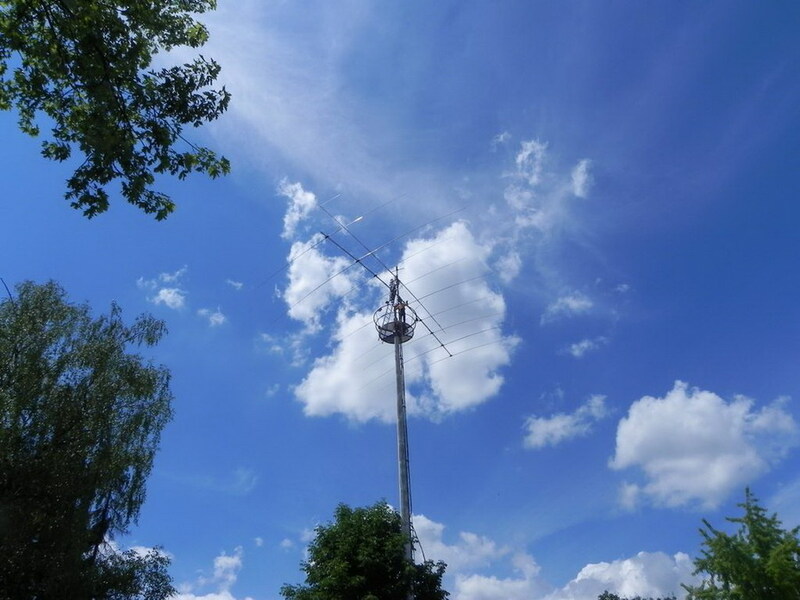 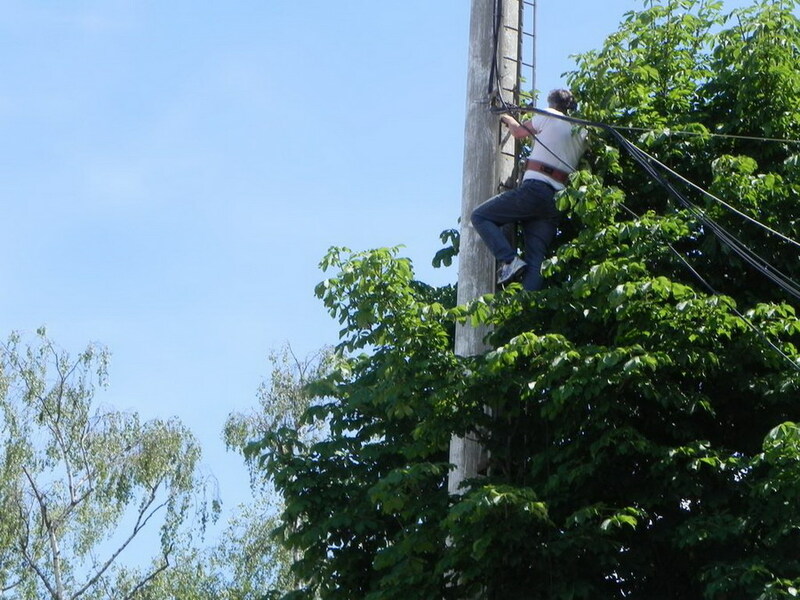 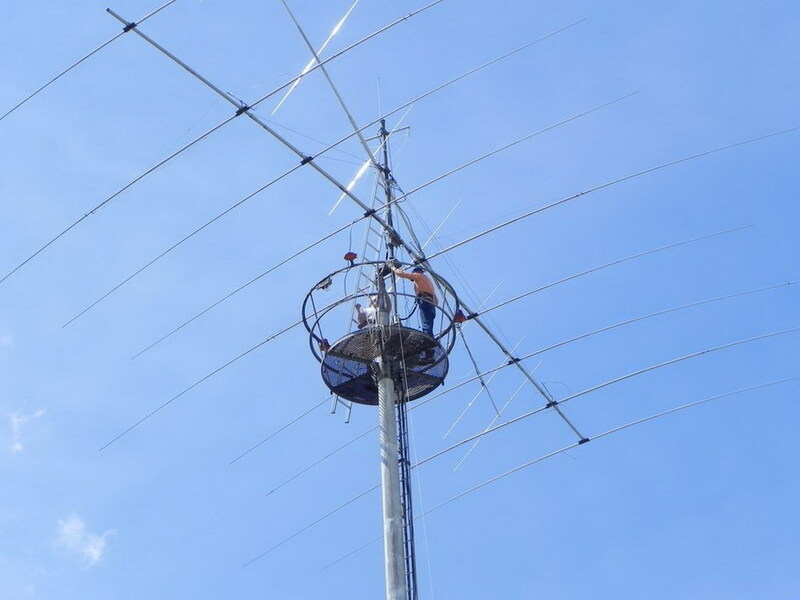 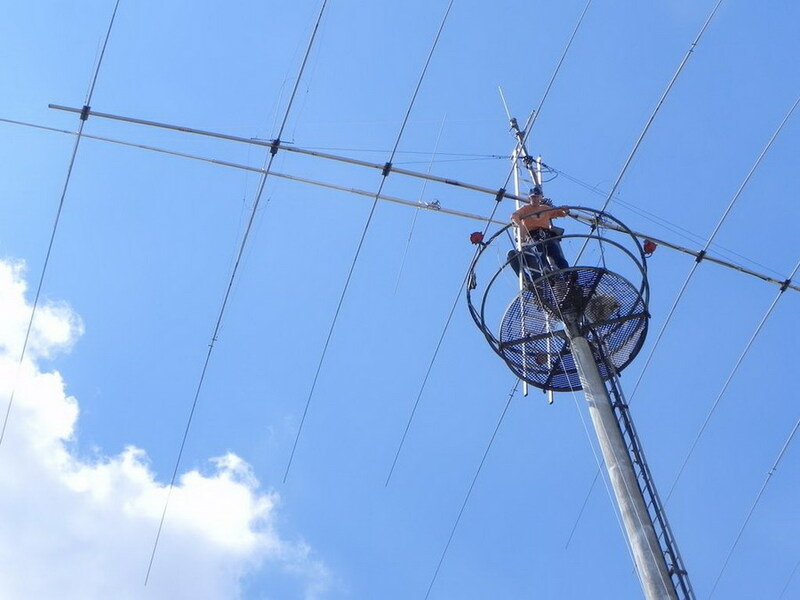 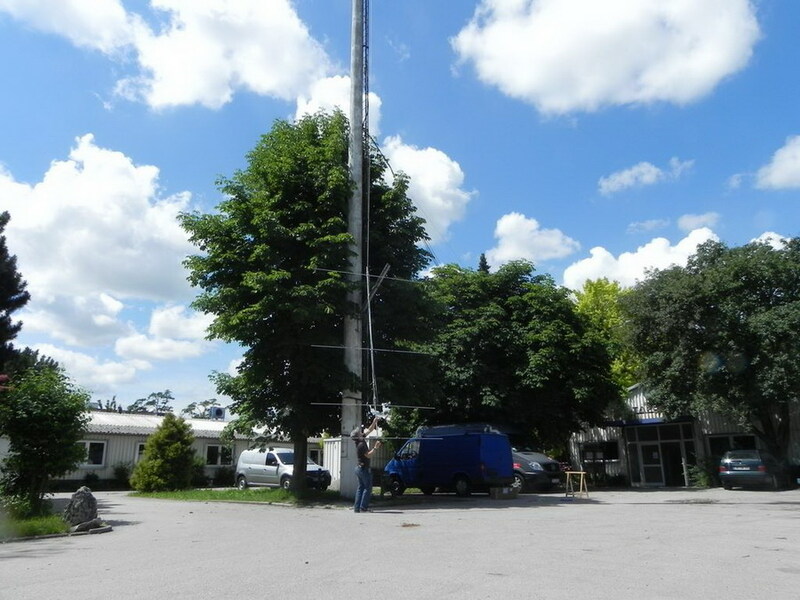 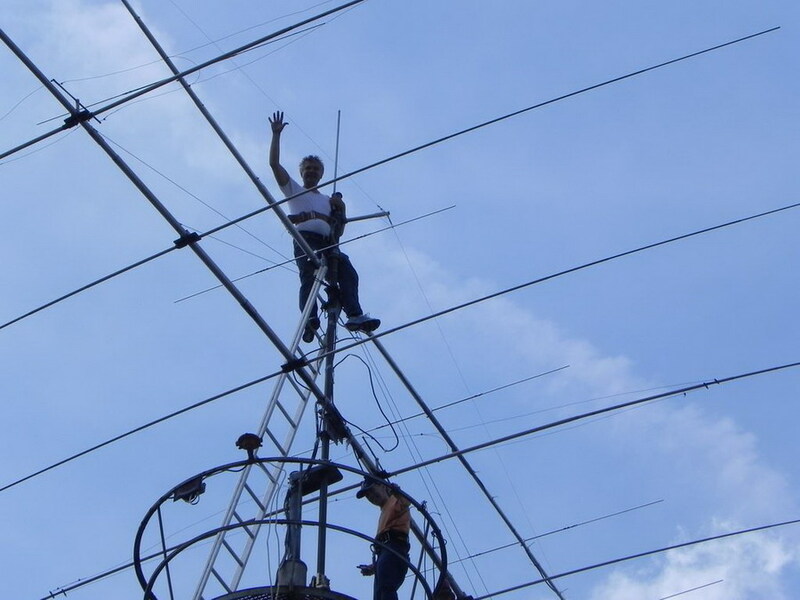 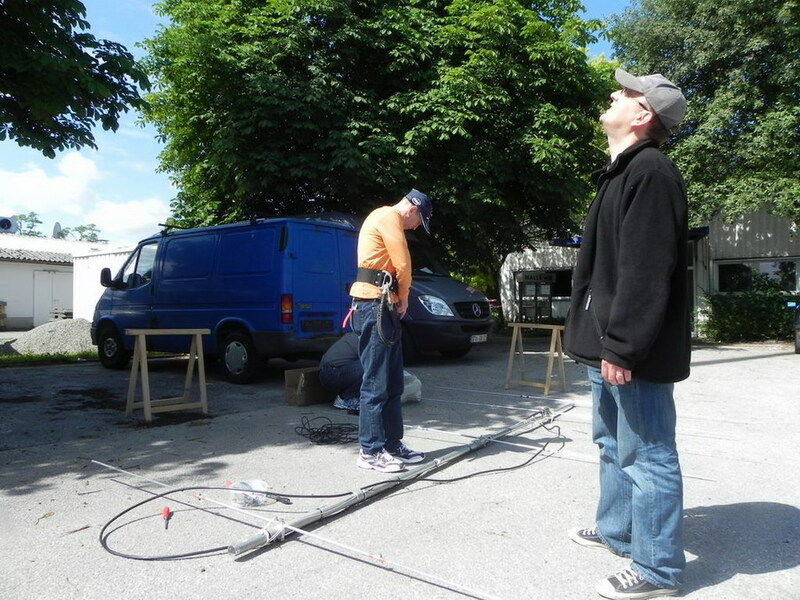 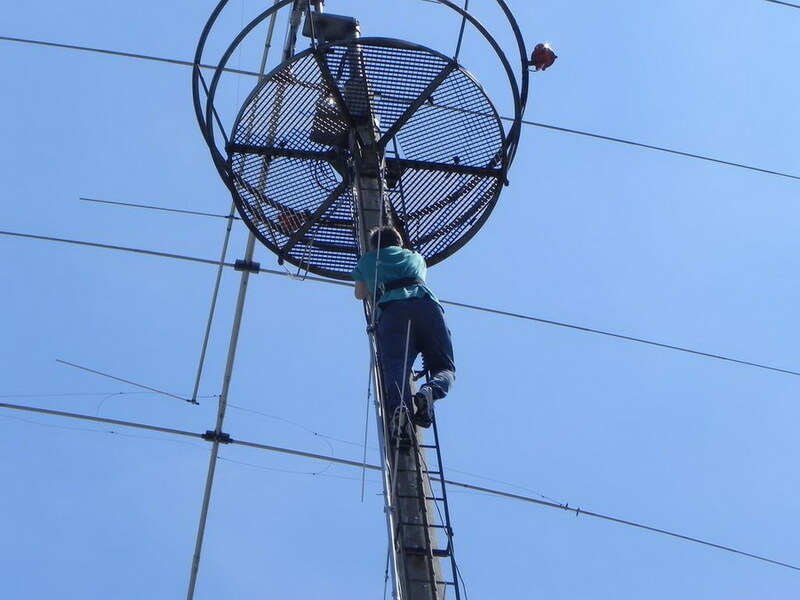 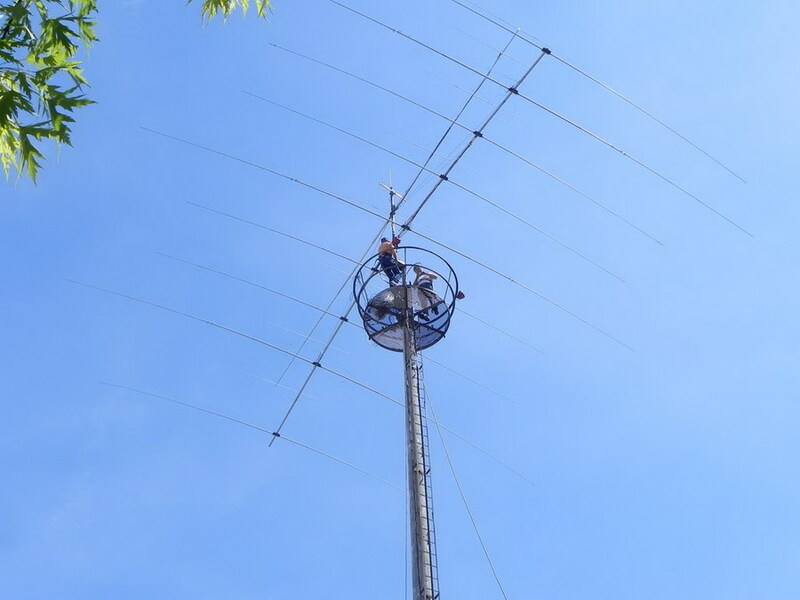 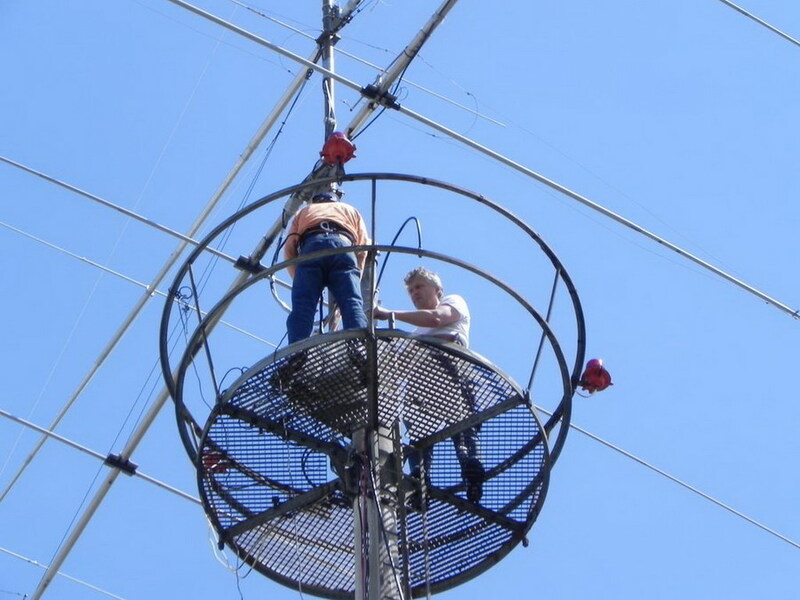 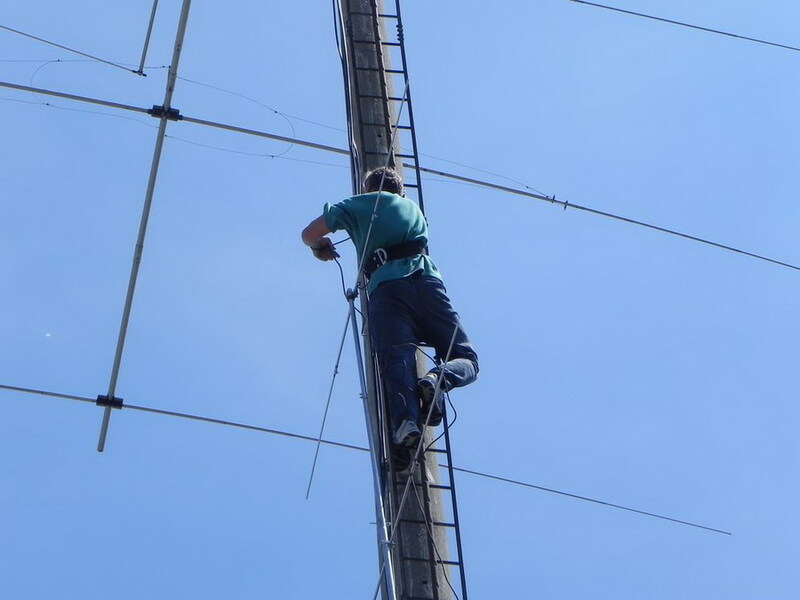 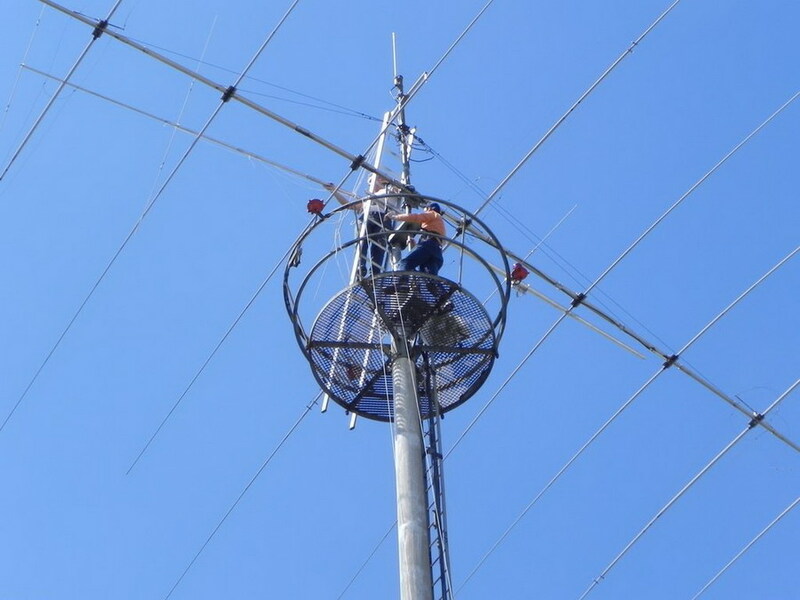 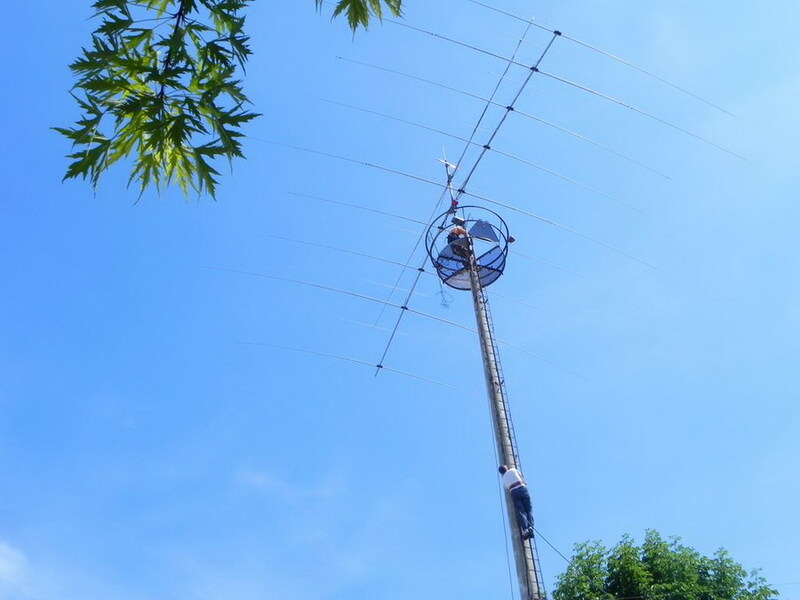 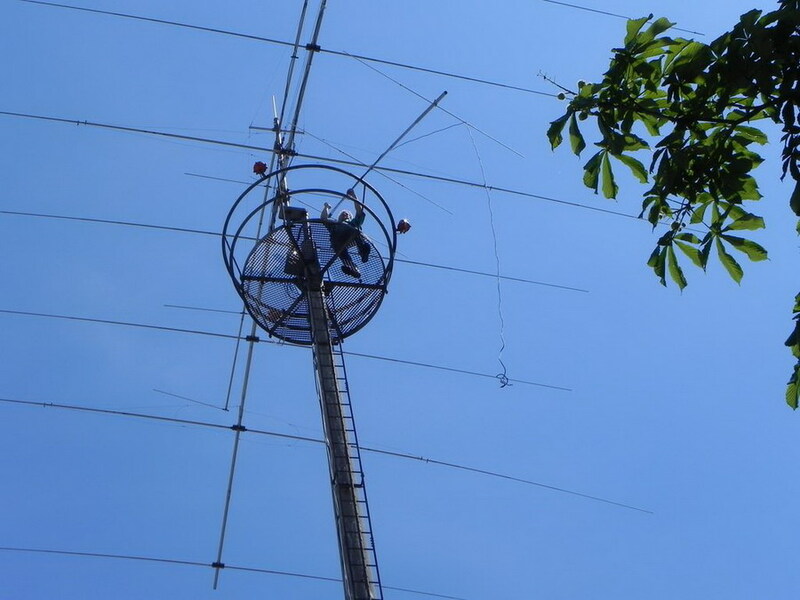 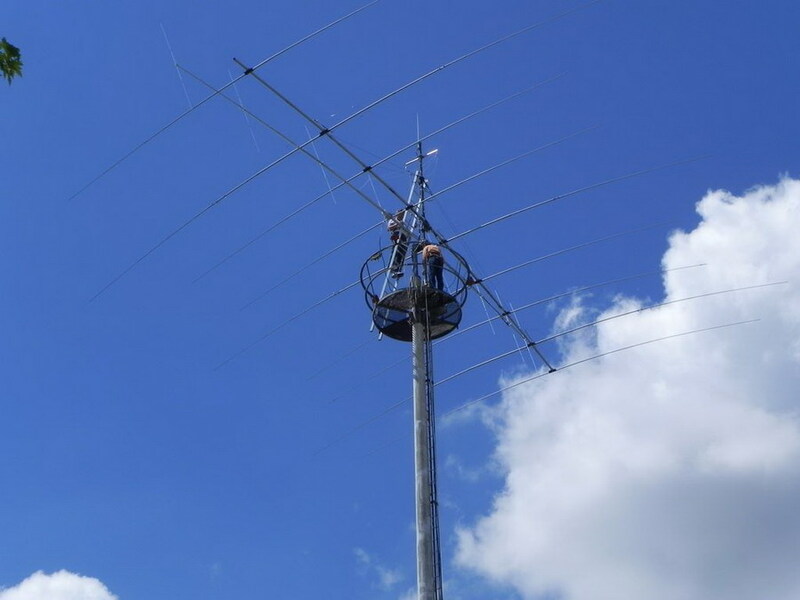 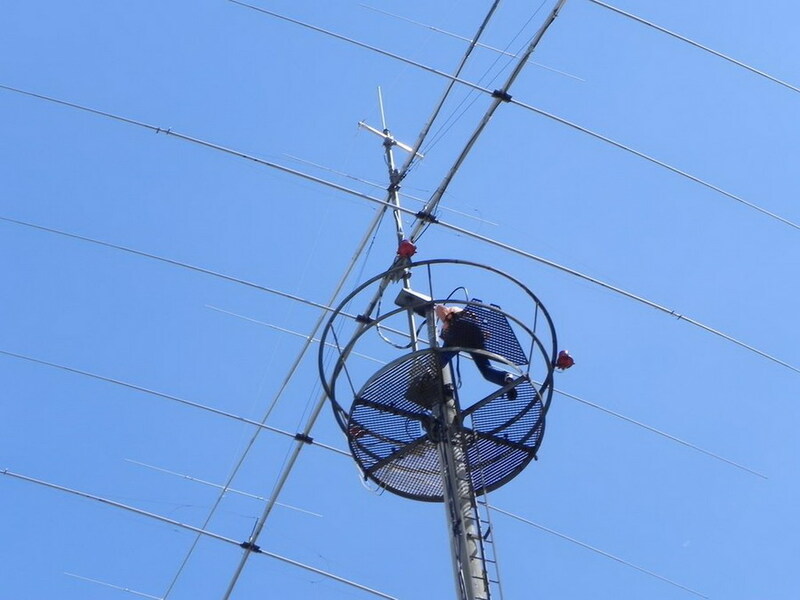 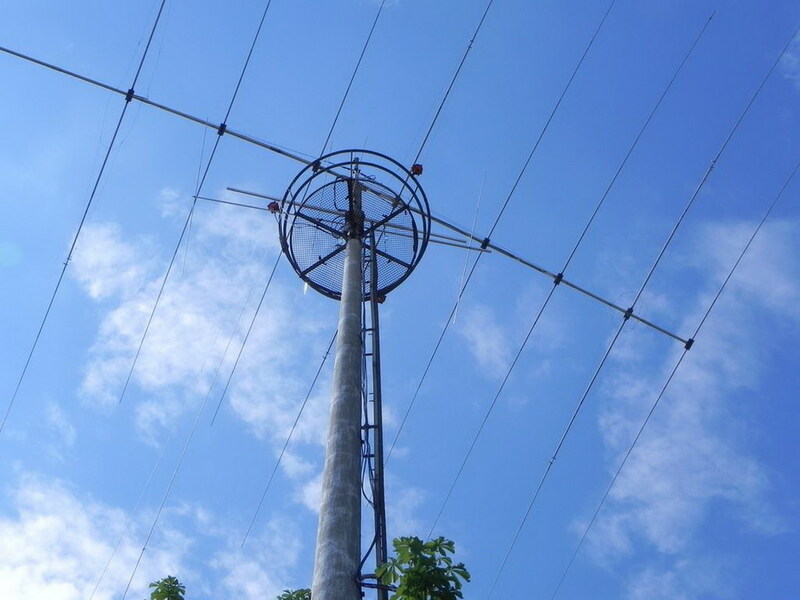 We installed the antenna în June 2011 with the help of DJ0MDR, DK1MIR and DJ2MX on the highest tower above the 3 ele 40m/6 ele 20m interlaced yagis. 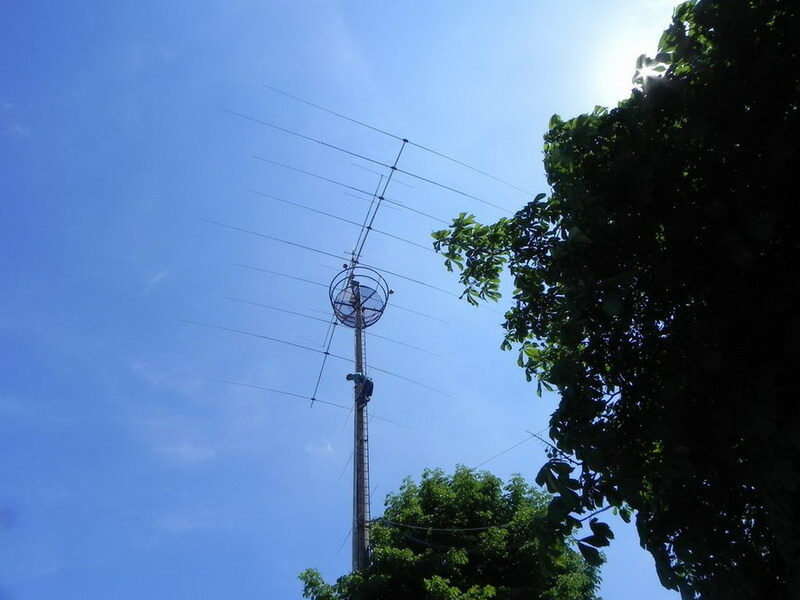 We also installed a new Andrew Heliax 1/2" LDF4 50A coax. 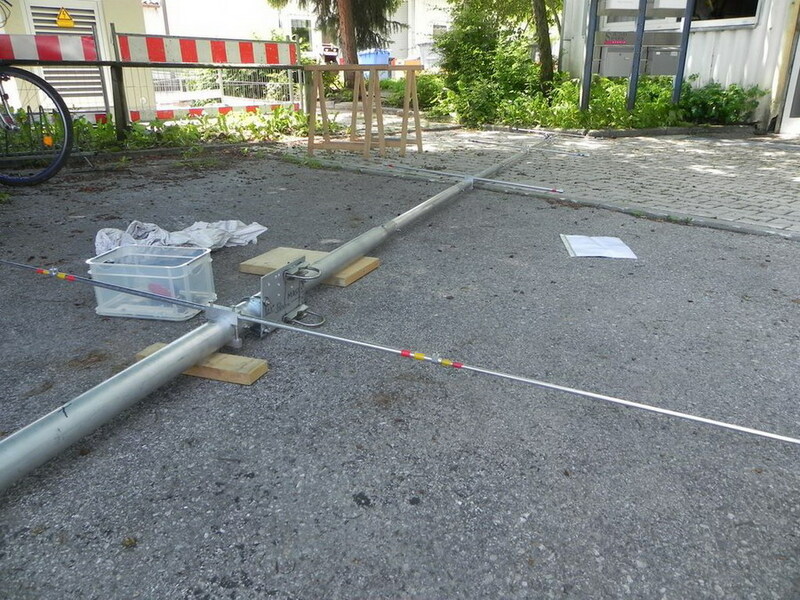 We managed to put it up without needing a hydraulic lift (the tower cannot be tilted). 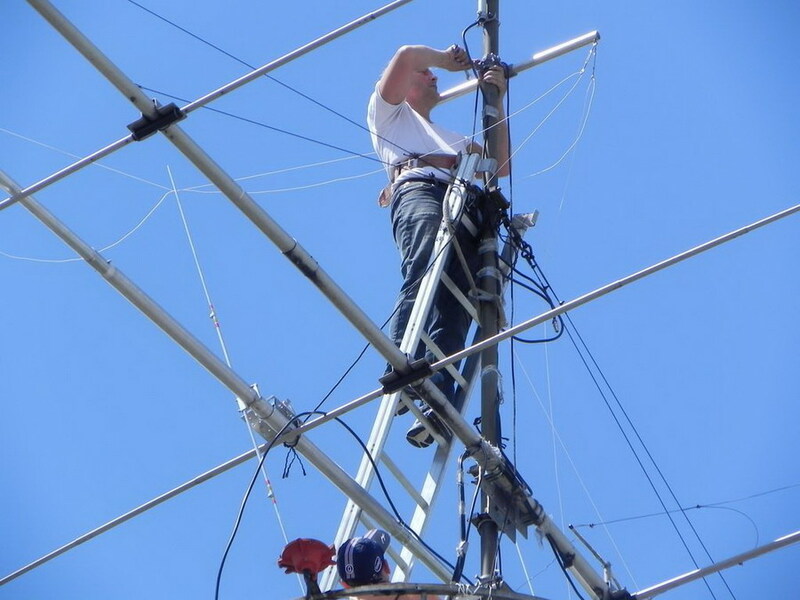 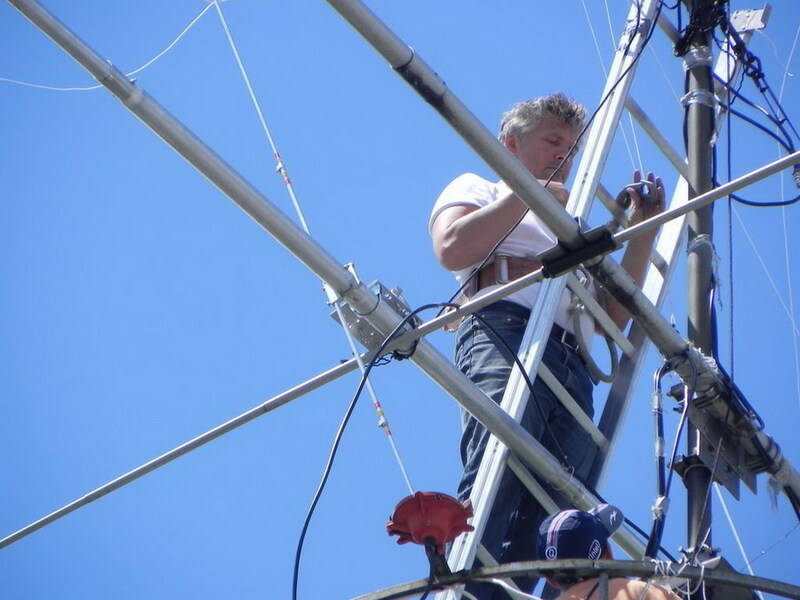 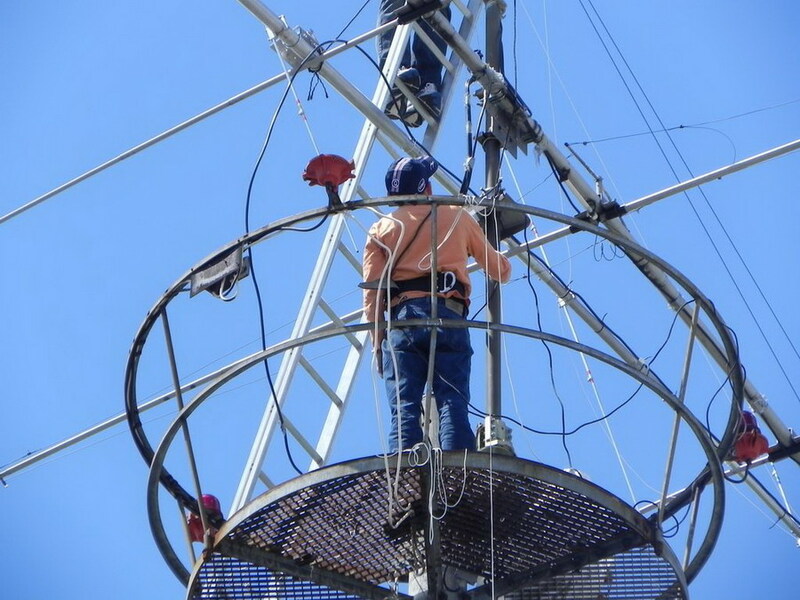 The antenna was pre-assembled at ground in three parts and each of the three boom parts was lifted up the tower by DJ0MDR. 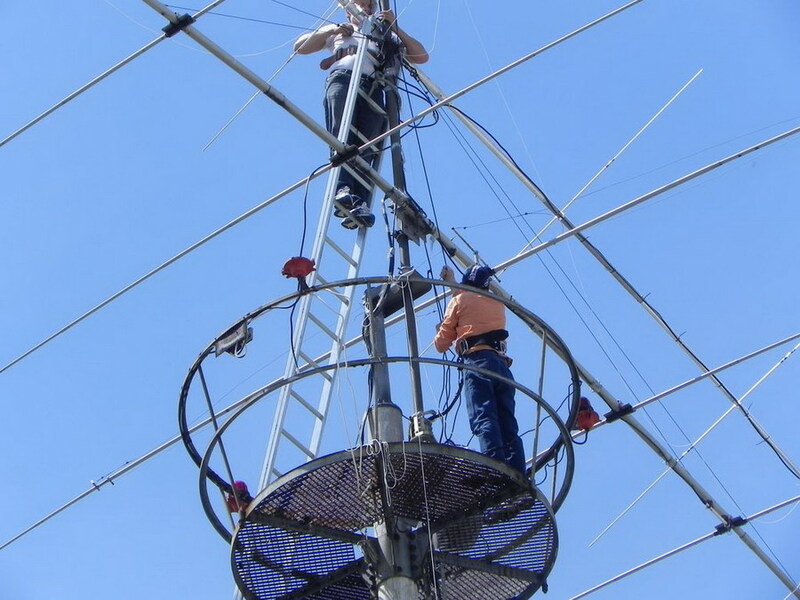 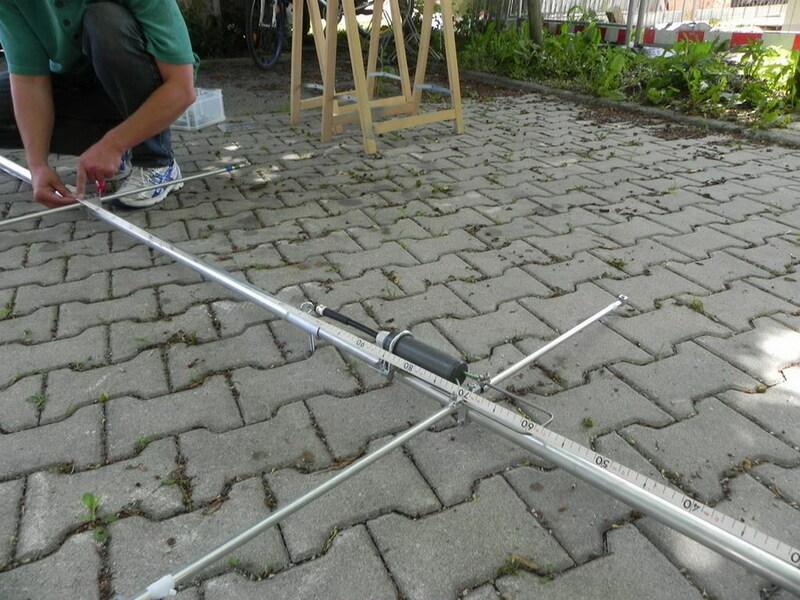 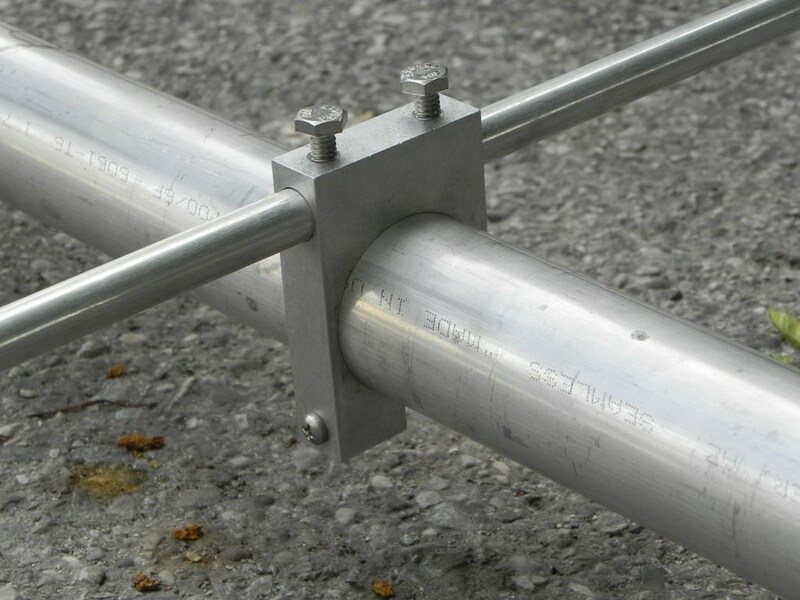 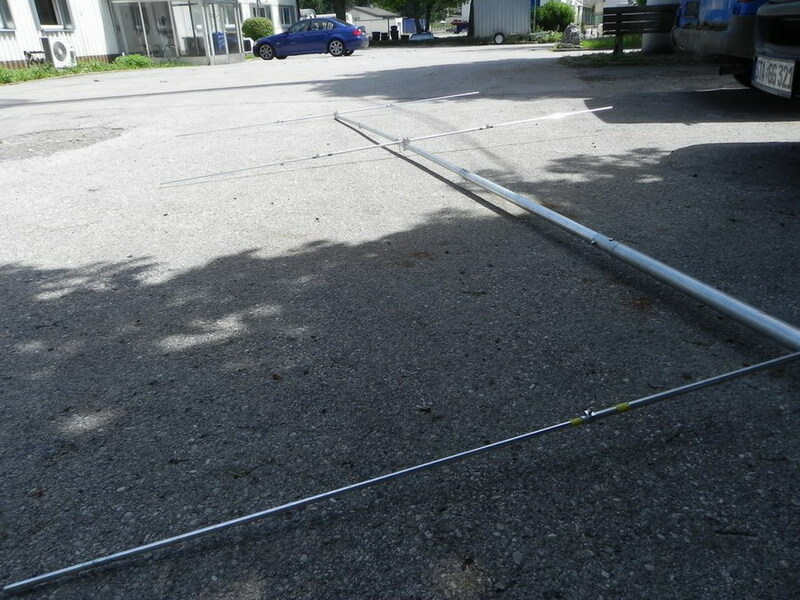 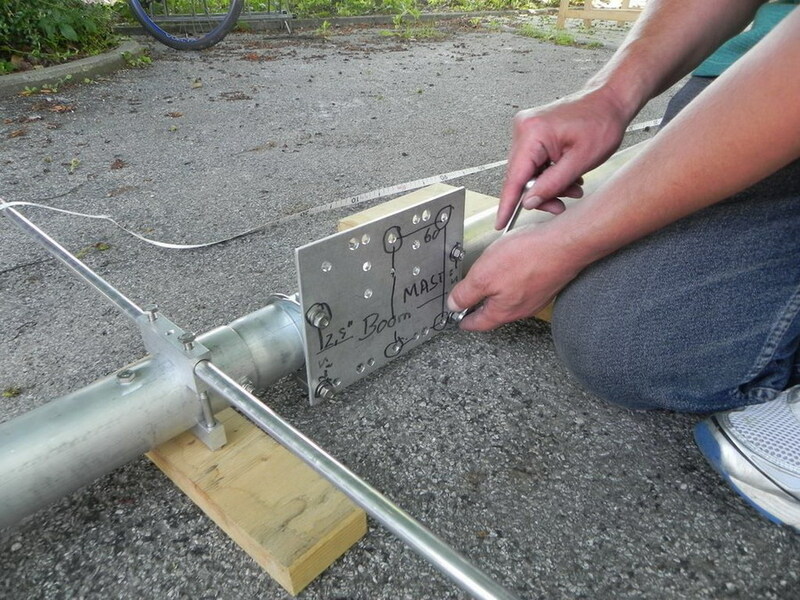 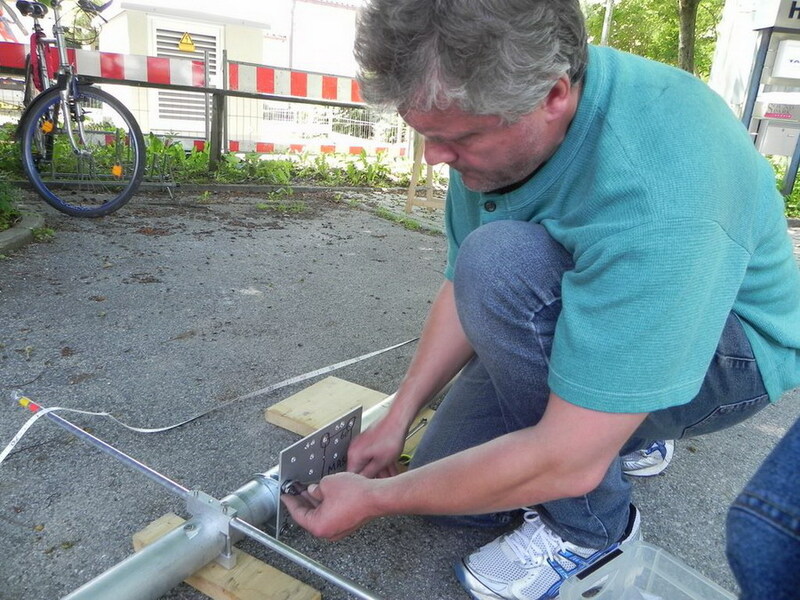 The boom parts were then sticked together above the 40m/20m yagi and mounted to the mast. 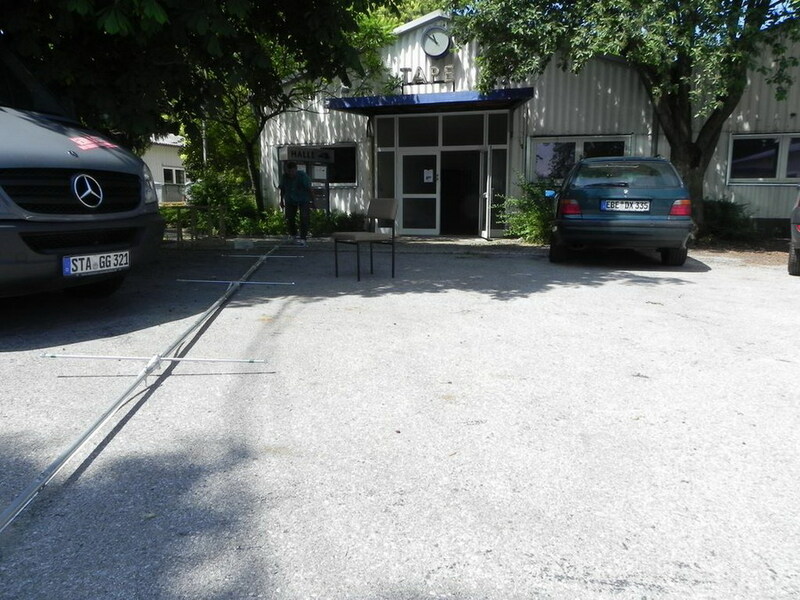 Click on the thumbnail pictures for the picture gallery.